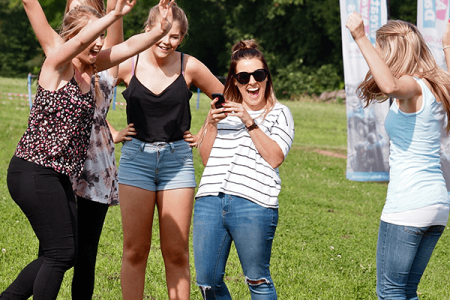 Great Away Days have created the ultimate Mini Highland Games experience for your hen party in Scotland. Fun-filled competitions, true Scottish instructors clad in kilts and plenty of that renowned Highland hospitality – and all in stunning Scottish surroundings. All rounded off with a bottle of whisky (or bubbly!) for the winning clan! Our experienced instructors will be there to coach, encourage and help make your experience memorable. 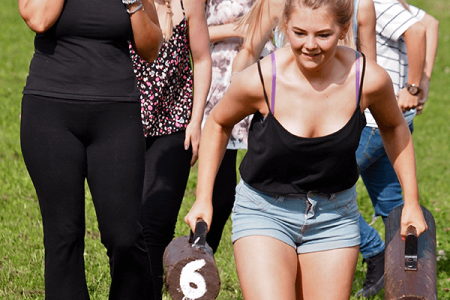 You can also combine our best-selling Mini Highland Games with any of our other activities for a whole afternoon of fun! *You do not have to be super fit to take part in our activities, these are suitable for all ages and abilities. You just need to be open to new experiences, fun and keen for a laugh. "Fantastic event! A great mix of fun, competitiveness and noise! Our two insructors Craig and Scott were briliant and put up with all our madness, Thanks again!" "We did the Mini Highland Games for a hen party last weekend. Had an absolutely fantastic time! It's was so much fun and cured everyone's hangover! 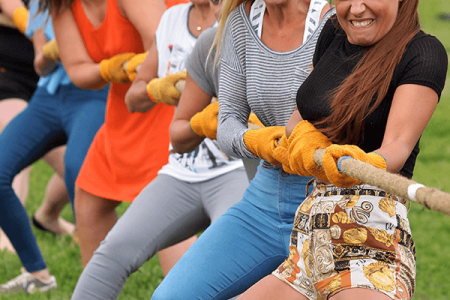 Was a brilliant way to get everyone working together, and we couldn't stop laughing throughout, the instructors were fantastic!" Gloves, Helmet, Qualified Instructor, Public Liability, Prize Giving.